even without the red shoes, there’s nothing like it! 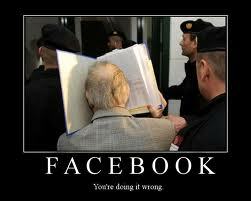 i made a new years resolution for 2011 to meet in person all 325 of my facebook friends. 325 friends, 365 days, 13 countries, close to 60,000 miles on planes, trains and automobiles. i had 325 friends–from college, from around town, from playing online scrabble, people who like my grandfather’s science fiction writing, parents of my kids’ friends, and some people i just had no idea why. i wanted to meet them all and figure out if we were “just” facebook friends or something else. at the end of the year, my house sold. my sons live in new york and ohio and neither of them really wanted me to move in with them. i had no place i had to be and i had spent a year being everywhere so i could choose. this past month, i took an apartment. for most of my adventures, i carried with me a plush doll of the nineteenth century adventurer and explorer william clark. he has his own facebook page and we are facebook friends. now he resides in the bat girl cave which is very close to where i used to live. i could have gotten one of those prefab homes in nome that i saw, or moved into the mumbai holiday inn which is the swankest place i stayed. i could have opened a fruit stall in mexico city in the neighborhood i visited or i could rent one of those sweet apartments i saw in dortmund, germany. 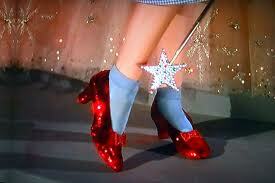 but no, i ended up back in winnetka and i didn’t have to click my heels three times to know there’s no place like it. but of course i have facebook friends to see in other parts of the world. new friends on facebook. i just got back from kentucky and i think the next trip is ontario and from there new york. thursday night i went to a party in winnetka. everybody said “welcome back!” and i think they meant it. i was not actually wearing these shoes, but i felt like i was! This entry was posted on Saturday, October 20th, 2012 at 9:18 pm	and tagged with anxiety, depression, facebook, friends, going home, home, homelessness, no place like home, ruby slippers, wizard of oz and posted in Uncategorized. You can follow any responses to this entry through the RSS 2.0 feed. Welcome back indeed though it seems you fortunately for all of us didn’t really leave. I’m trying to find “the red shoes” for a play I’m producing (also writing and directing). Similar silver ones are all the rage for girls at my high school. i’ll be in toronto soon! will i see you sound hippy? Which is strange, as according to this, many people with agorophobia, anxiety and a creative disposition could tick off many of the traits!